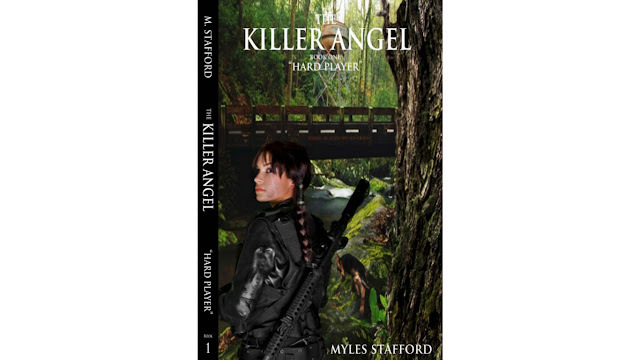 Myles Stafford is an adventure novelist who lives in the Oregon rain-forest. His post-apocalypse book series is THE KILLER ANGEL. This is an exciting series about a young woman's survival in a climate somewhat similar to "World War Z" or "28 Days Later". The Earth is in a post-apocalyptic state with only a few survivors. A virus has spread and took out the majority of the planet's population. We have heard this story before, zombie movies and books have been coming out for a couple of years now. It's frightening to think about what life would be like if we had to fight for survival on a daily basis. What it would be like to see your loved ones and friends turn into flesh eating creatures. I find the book very immersive. As you get deeper into the story it becomes clear that the author has a strong attachment to his lead character. We learn from his short autobiography that he also works for the military. I believe his passion for saving humanity appears in his writing. It is an easy read and the monologs make the story very believable.